Devendra Obi Banhart, an American-born artist and raised in Venezuela is a well known folk singer and composer whose first few records were released on the young god records label from New York City. His most recent CD was released by Warner Brothers. He is one of the most popular artists to come out of the “new weird america” movement, which includes performers such as Faun Fables, Viking Moses, Jack Rose, Jana Hunter, Arborea, The MV & EE Medicine Show, George Ellias, Currituck Co., Six Organs of Admittance, and The Royal We, among others. He also often joins the band known as Vetiver. Banhart’s most recent tour of the United States saw him perform with his full band, which is currently known as Power Mineral. Power Mineral included Andy Cabic (Vetiver), Greg Rogove (Priestbird), Noah Georgeson, Luckey Remington, Pete Newsom, Otto Hauser (Vetiver, Currituck Co., Espers, Nick Castro), Kevin Barker (Currituck Co.), and others. 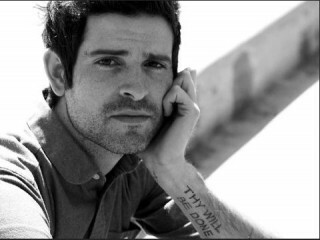 For 2013 Devendra Banhart prepared his new album, Mala, which is his first studio album since 2009's What Will We Be. The record will be out on March 12 through his new home label Nonesuch. 09 Won't You Come Over?